Though we were planning ahead, we are thrilled for your incredible support for Dallas Uncorked. Our 13th-anniversary event is still many weeks away, and today we have only 10 tickets left!On June 5 we will celebrate our 13th anniversary at Suze Restaurant with rising Napa Valley star, Winemaker Julien Fayard. 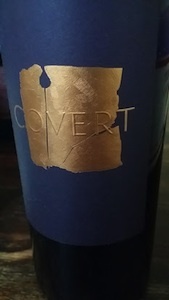 In addition to his own winery in Coombsville, Covert, a small production operation created with his wife, Elan, along with two other wine loving families, Cal and Pam Nicholson, owners of Nicholson Jones Winery, and Dave and Laura Nestor, Julien is the winemaker or consulting winemaker for a dozen others, including Cultivar, Azur, and Caspar. The evening will feature a selection of Julien’s wines from throughout Napa, paired perfectly with Suze Chef/Owner, Gilbert Garza’s, seasonally focused cuisine. Julien will join us for this special night, sharing his story and adventures in wine in both his native France and California. Proceeds from the evening will benefit The Stewpot and Charity:Water.